Mosquito bites have plagued humankind since the dawn of time. They are so common that it is very easy to just disregard them as a simple nuisance. However, mosquito bites can cause a significant amount of skin irritation and can even carry diseases like Malaria, West Nile Fever, Yellow Fever and Dengue Hemorrhagic Fever. Some people even have an allergy to the bite of the mosquito. For these reasons, proper identification and treatment of mosquito bites is important, especially for those who live in mosquito prone areas. Not all mosquitoes bites humans and animals. 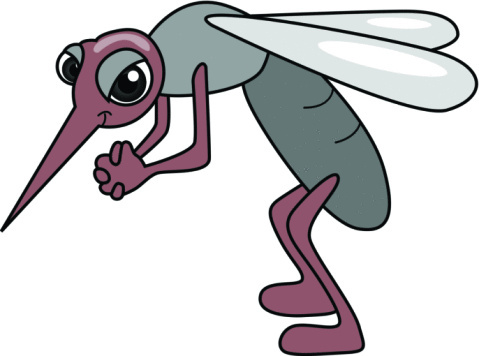 Only the female mosquito bites humans and animals because it needs the protein in the blood to produce eggs. Male mosquitoes feed exclusively on plants. As soon as a mosquito bite is identified, it is best to begin treatment as early as possible more so if the person is sensitive to bites from the mosquito. 1. Wash the affected area. Though this is not essential, some people develop itching and an unclean area can cause infection if scratched. 2. Apply ice or a cool compress to the area. The ice will help minimize itching and swelling. 3. Apply calamine lotion or ointment to soothe the area. Some individuals report that aloe or cucumber are effective natural remedies to soothe insect bites such as the mosquito bite. Aspirin may also help to control the inflammation if applied directly to the bite as a paste. 4. If a lot of bites are present, soaking in a bath with Epsom salts or baking soda helps control the itch. A colloidal oatmeal bath is likewise recommended to soothe the skin if multiple bites are present. 5. Resist scratching. If intense itchiness is present together with possible symptoms of allergy, seek medical attention for more advanced treatment and relief of symptoms. Scratching itchy bites can cause small breaks in the skin which make the bitten person prone to developing infection. The best way to combat mosquito bites is, of course, prevention. Below are tips to prevent being bitten by a mosquito for those who live in, or are visiting, mosquito prone areas. Areas more susceptible to mosquitoes include those near bodies of water, such as marshlands and swamps. The House Ensure that windows have fine-mesh screens fitted over them. This measure ensures that mosquitoes are not able to enter the home. Making sure that no stagnant and uncovered water is around (such as in vases and bowls) the house also prevents mosquitoes from making a home out of your home. Mosquito netting may be used for badly infested areas. Mosquito coils or electronic mosquito repellents may also be used. Make sure that no stagnant and uncovered water is around (such as in vases and bowls) the house to prevent mosquitoes from making a home out of your home. Keep the home clutter-free to minimize hiding places for the mosquito. The Self Wear mosquito repellent lotion and light colored clothing. Mosquitoes prefer darker colors and warmer individuals or those who emit more carbon dioxide. Wear mosquito repellent lotion and light colored clothing. Mosquitoes prefer darker colors and warmer individuals or those who emit more carbon dioxide. The Surroundings Minimize the possibility of mosquitoes by eliminating large plants around the house. It is best to plant naturally mosquito repellent plants like citronella, lemongrass, and neem shrubs to keep mosquitoes away. Avoid keeping stagnant water (like old tires) around your property because mosquitoes may utilize this as a breeding ground. Ponds are fine if stocked with fish since fish eat mosquito larvae. Mosquito bites are hugely common but can be extremely irritating, or even downright harmful to humans and animals alike. Proper understanding of how to control mosquitoes is the key to prevention of mosquito bites, which is always the preferable option. An ounce of prevention is indeed better than a pound of cure, and this is very true for mosquito bites.